The Cellar Fine Beverages has it all! We offer an extensive wine selection, from local Texas to world renowned wineries. The wide liquor selection is unmatched and is here to meet your needs 6 days a week. With two locations in Mineral Wells, The Cellar serves the surrounding area including wholesale accounts. Whether you are picking out the perfect bottle of wine for a dinner party, preparing for a big event or stocking your commercial bar with top shelf liquors, we are here to serve you! The Cellar West located at 2805 HWY 180 W and has a drive-thru and a walk-in cigar humidor with parking for your RV, boat or trailers! 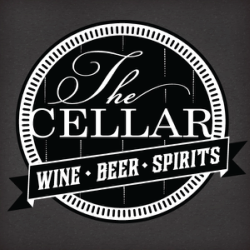 The Cellar East is located at 4514 HWY 180 E and stocks a wide variety of wine, craft beer and liquor.